With some of our topmost favorite movies hitting cinemas already,2018 couldn’t get much better with all the exciting movies coming up this year. Be it of any genre, movies are something we all love to watch for entertainment or leisure sake and If you ask us, we are completely fascinated by sci-fi and fantasy genre of films, Hint! A Wrinkle in Time is what we have our eyes on. 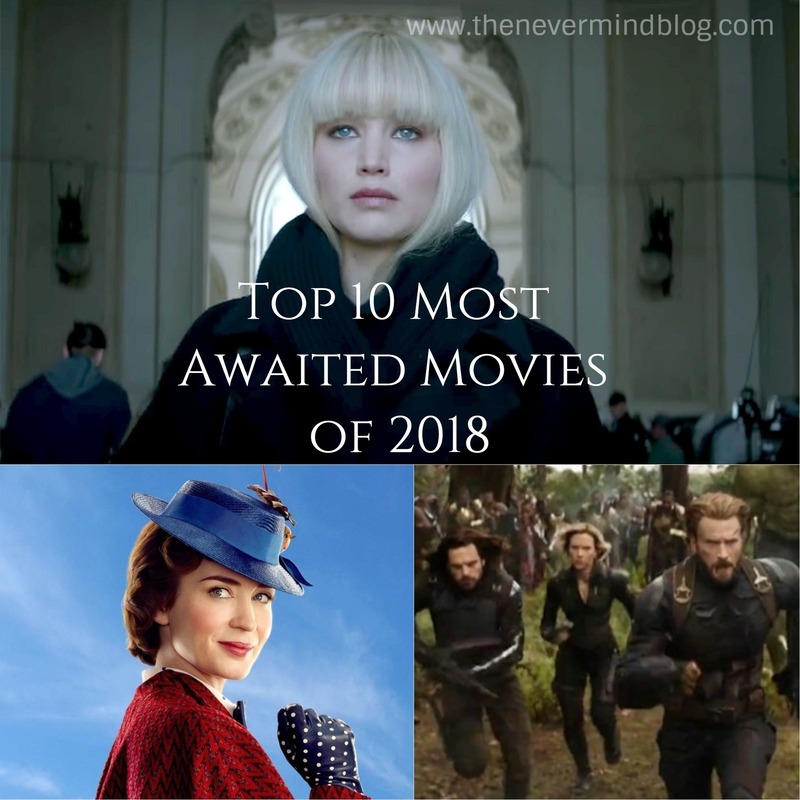 Although this year brings in plenty of exciting films of all genre, we have listed the top 10 most awaited movies of all time. An interesting film full of suspense and a mission of turmoil where “Thomas” struggles to find a cure for a deadly disease. This highly anticipated Movie is the third film of “Maze Runner” which was released on 9th February. A superhero film based on the Marvel comics character, Looks completely thrilling! Jennifer Lawrence at her best, a tale of a Ballerina who faces life trials and loses her career due to an injury, after which she turns to Sparrow School, a Russian intelligence service where she is forced to use both her mind and body for work. An amazing science fantasy adventure film worth waiting for plus comes with a bonus! This highly anticipated film stars Reese Witherspoon, Mindy Kaling and oh yes, Oprah! Drama, Adventure and something thrilling for the little ones.Most awaited animated adventure film written and directed by Wes Anderson. Avengers unite with Thor, Hulk and Iron Man to battle the evil Thomas, This looks exciting! Who doesn’t love a top science fiction adventure film full of dinosaurs? Eyes all set for the fifth installment of Jurrasic Park film series. Strong Women? Well yes, A comedy film directed and written by Abby Kohn and Marc Silverstein about a woman who battles her insecurities and gains confidence in her looks. An upcoming romantic musical comedy film, totally worth the wait!